The last date of submission of online application form for CLAT-2015 has been extended to 14th April, 2015. Read the notification as displayed on the CLAT-2015 website here. According to sources, around 40,000 aspirants have already registered and paid the fees for CLAT-2015 while around 60,000 aspirants have registered for it. In an order dated 27th March, 2015, a Supreme Court Bench comprising of Justice V. Gopala Gowda and Justice C. Nagappan had allowed the organizing University to withdraw the Petition. However, this was done reserving the petitioner's ability to approach the appropriate Court to either recall or review the order. The Court had observed, "If such a application/petition is moved by the petitioner, the High Court shall consider the same and pass order in accordance with law." Earlier this month, LiveLaw had reported that Allahabad High Court has scrapped the upper age limit of 20 years for CLAT-2015, on a petition filed by 21 students whose online applications for CLAT-2015 were not accepted by the computer database as they were shown to be overage. Read the order here. This year CLAT-2015 is being organized by Dr. Ram Manohar Lohiya National Law University, Lucknow, inviting applications for CLAT- 2015 for admission to 16 National Law Schools in different parts of the country. The last date for submission of Online Application Form is 31.03.2015 (11:59 p.m.), and the exam is scheduled on 10.05.2015. Rajasthan High Court had also issued an interim stay on the age limit prescribed for the Common Law Admission Test, on a Petition filed by two 1st year students of NLSIU, Bangalore. The Organizing Universities have been prescribed by the Court to collectively consider and take an informed decision, in advising the Organizing University in respect of the maximum age to avoid multiplicity of proceedings. Further, the Director of RMNLU, Lucknow was directed to display the interim order on their website. Read the Petition and High Court order here. For further necessary information regarding submission of online application form, eligibility etc. 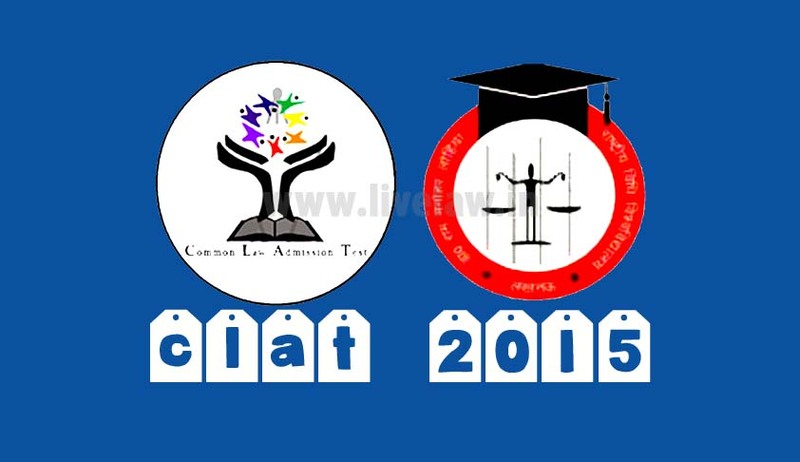 please visit- www.clat.ac.in.